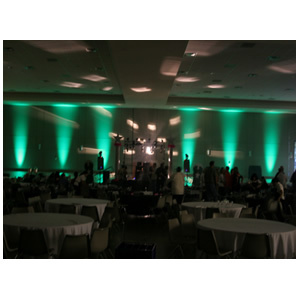 GOBO Lighting | California DJ's Inc.
Gobo Pattern Projectors are an affordable lighting addition to your event. These projectors will illuminate a wall, ceiling, or floor with a specific name, phrase, or pattern. They are most commonly used at weddings to project the name, or monogram (last initial) of the bride & groom, together with the date of the event. Some Companies use these for Corporate or Holiday Functions, and they are also used at Birthdays, Sweet 16’s, and Mitzvahs! 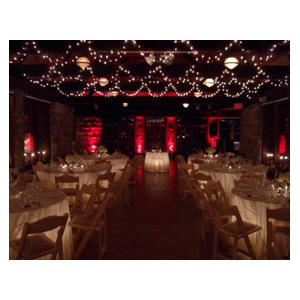 Some clients prefer to use a pattern such as stars, butterflies, or hearts to project on the dance floor, wall, or ceiling of their event. 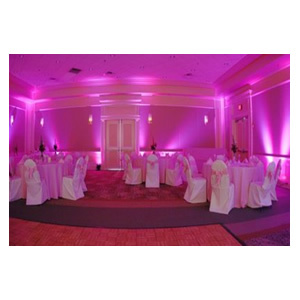 This is a very high impact – low cost addition that you can use at any type of event that needs a touch of elegance. 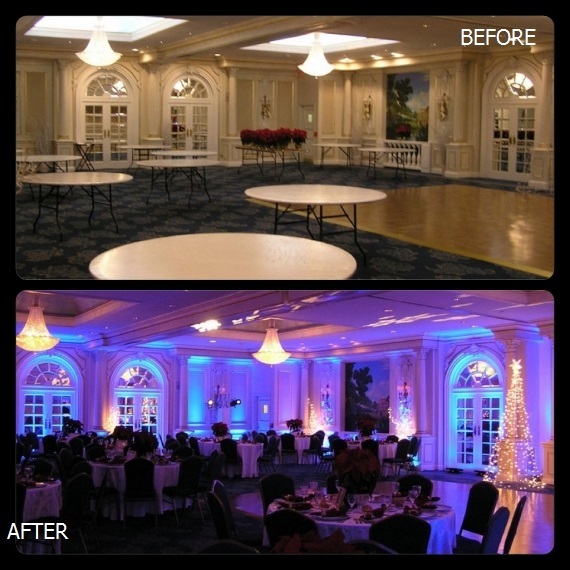 Gobo projectors start at $199 for rental, and that includes 1 pattern or monogram, with set-up and break-down included! Custom gobo rentals start at $349 and take about 2 weeks to make. Color gobos made from glass are also available, but at a substantial cost! 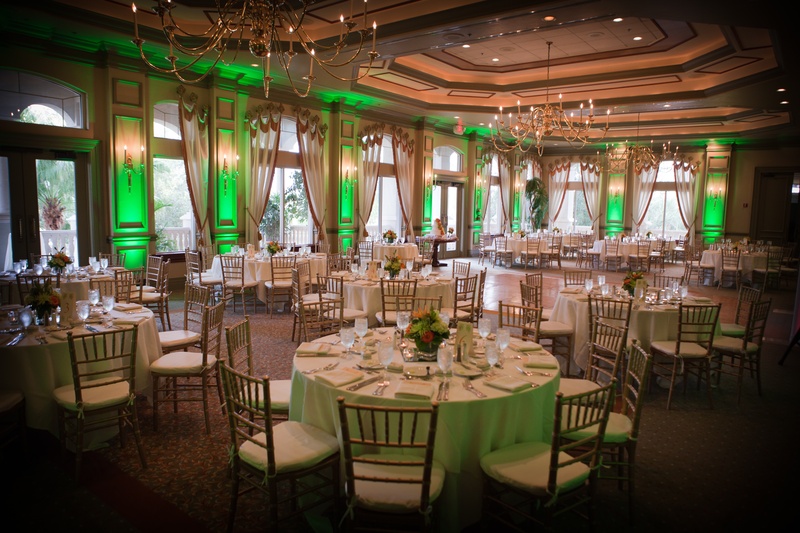 Below are some photos of events with different types of gobos. 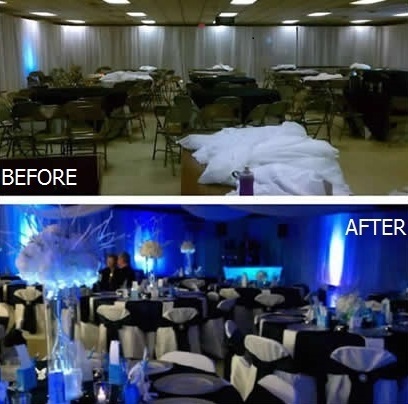 You can imagine what your event may look like with one of these amazing projectors!